For 2018, the CT6 updates to version 2.6 of Cadillac's CUE infotainment system and now includes an app store and a Teen Driver feature. Platinum models now feature auto-ventilated front seats and an automatic heated steering wheel, while the rear camera on all models comes with a new high-pressure washing system. 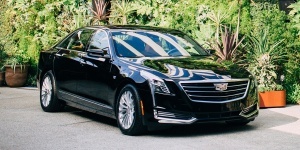 Get the best price for the Cadillac CT6 of your choice from a dealer in your area. Request a price quote now.